Microsoft to Produce Affordable Windows Phones for Africa. Africa is noted to be one of the most rapidly growing technology markets in the world. Microsoft wants to invest in the growth on the continent with it’s services and hardware. Microsoft introduced the 4Afrika initiative and planned with the project to help place tens of millions of smart devices in the hands of African youths. Also to bring 1 million African small and medium enterprises (SMEs) online. At Microsoft, we view the African continent as a game-changer in the global economy. We believe deeply in the potential of technology to change Africa. We equally believe in the potential of Africa to change technology for the world. 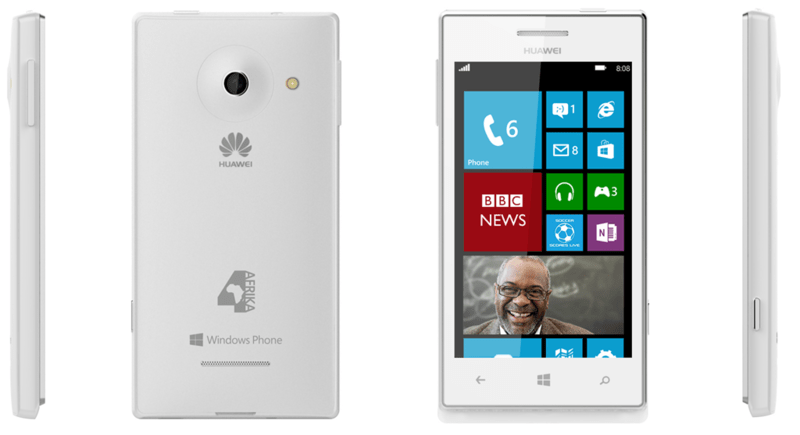 Microsoft partnered with Huawei sometime in 2013 to produce the Huawei 4Afrika handsets in Africa. Microsoft’s goal with the 4Afrika handsets was to leverage technology to actively engage Africa’s economic development and to improve its global competitiveness whilst the 4Afrika initiative itself will develop apps and services specific to the region. The partnership didn’t last as Huawei in August 2014, decided to put the program on hold. Richard Yu, head of Huawei’s consumer business group, said “It wasn’t profitable for us. We were losing money for two years on those phones. So for now we’ve decided to put any releases of new Windows phones on hold”. “Microsoft is working with technology partners based in Shenzhen, China, and plans to introduce $75 to $100 smartphones this year. It will be a global launch,”. Although details of the phone haven’t been made public, it will definitely be in the class of the recently announced Lumia 435, 532 and 535. With a 4″ or 4.5″ display, 1.2GHz dual core processor, 1GB of RAM size. 8GB storage with expandable MicroSD card support, battery size of 1500mAh, 3.5G network, loaded with Windows Phone 8.1 with Lumia Denim or windows 10 (depending on when the device will be available to ship) and will come in various colors. The 4Afrika logo could also be featured but since it’s expected to be a global launch it might be left out.